A person’s “Cancerversary” stirs up a lot of emotions and every patient approaches it differently – but it is never forgotten. For patients who had their cancer caught early & cured – it is a date that may remind them of hitting the state of absolute terror, only to be redeemed and saved. For Stage IV patients it is even more complicated, since it is the date when most of them were told that they had “currently incurable” cancer and if they chose to ask, the date on which they may have been given a grim statistical prognosis. My own personal story was between those two camps. Initially I was diagnosed as “curable” Stage IIIC on June 4th, 2012. Two years later in 2014, less than 2 weeks after my second Cancerversary (v. 2.0) celebration, I was declared “currently incurable” Stage IV. Some people look at their diagnosis anniversary with sadness. My own response to my Cancerversaries has been consistent over the years. In all three years, I chose to approach June 4th as a celebration of life with some sort of celebration. Instead of looking back in depression at how my life changed in a blink of an eye upon barely hearing in a colonoscopy-sedation-haze “Your husband has colon cancer, we need to schedule an emergency surgery as soon as possible” – I look back and remember all of the incredible things which have happened to me since my previous Cancerversary (and since the original diagnosis date of June 4th, 2012) – great things which have happened not only in spite of cancer but often as a direct consequence to it! 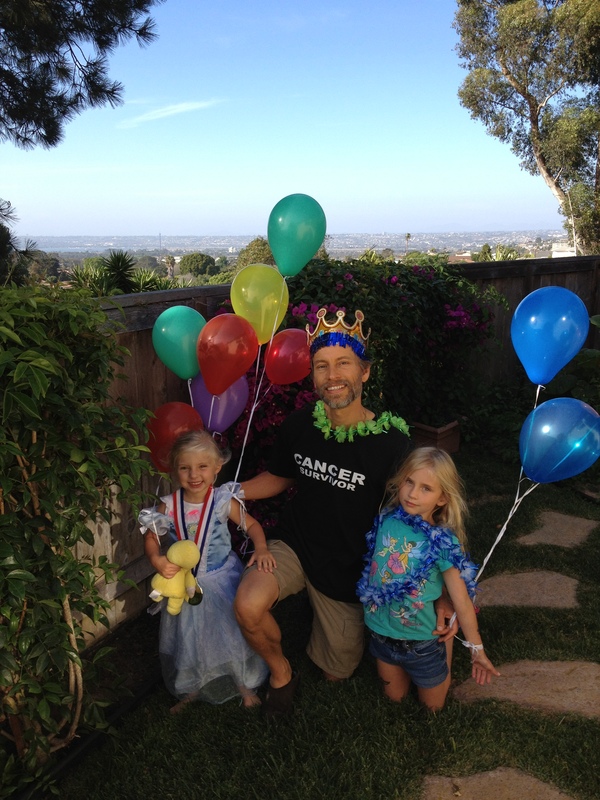 The first Cancerversary: I was NED – so the June 4th, 2013 celebration was really a celebration of beating cancer and looking forward to many more years cancer-free, living an improved life now especially focused on Family, Faith & Health. The second Cancerversary: I was a long distance runner who felt incredibly healthy but I was also approaching a CT-scan which I knew had a significant chance of declaring me Stage IV. 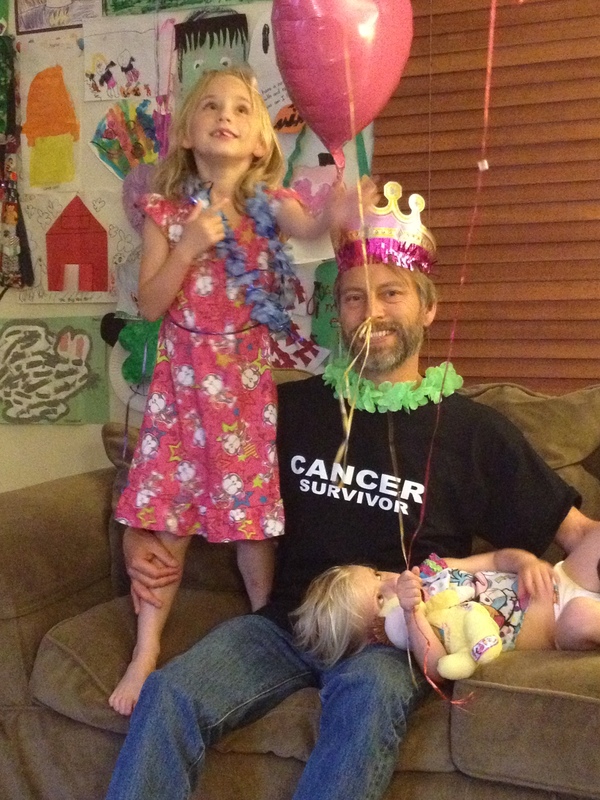 That year my June 4th, 2014 celebration was more focused on all the ways my life had improved since diagnosis and the wonderful times I had had with my family over the previous 2 years, despite many cancer worries. We are now at Cancerversary v. 3.0: I continue to feel very healthy! There has been 12 months to fully absorb being Stage IV and develop a new (in many ways incredible) life in response. What have been the key points of my third year of living with Cancer? Our family is the closest it has ever been. We are in the midst of building our long delayed dream house (we had a building permit in hand when my diagnosis hit in 2012). I ran my first & second team triathlons. 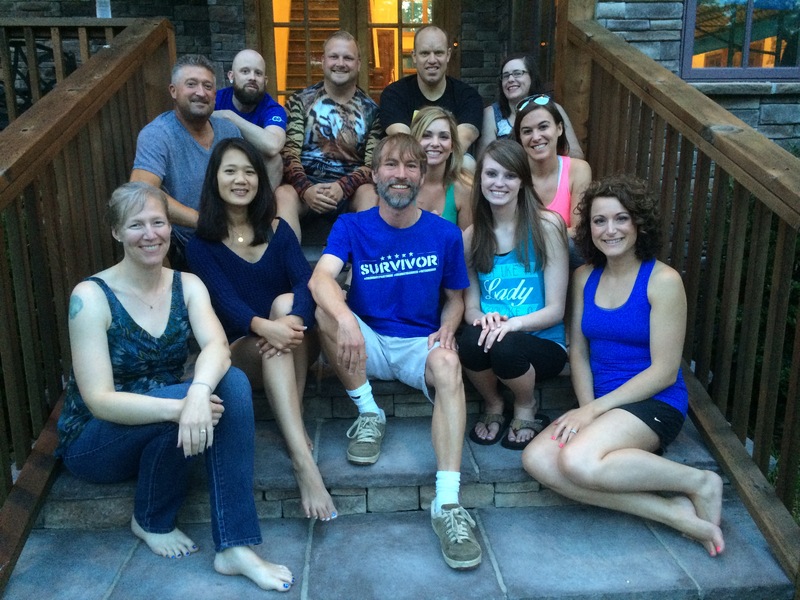 I have made numerous new close friends – including meeting some of my very best online “cancer buddies” in person. I was blessed with an ever growing incredible group of people forming an ever stronger “Team Tom” helping me fight my CRC. Parts of this Team Tom have been working on the most exciting & incredible scientific endeavors I have ever been a part of – this time as both scientist and research subject. Being both a scientist & a “fixer” personality, I have dove into oncology research with an incredible fervor thinking about it, reading, scouring for non-published information, establishing key contacts, monitoring clinical trials daily – OK, for those of you that have been nearest to me this year, you know in fact multiple times daily. Essentially fighting against my “currently incurable” disease has been a 24/7 part of my life the past year. Indeed I have approached this aggressively as the biggest & most important “scientific research project” of my entire scientific career! I also have become very active in patient advocacy. For example, trying to help many fellow patients on message boards/online forums navigate the confusing world of clinical trials (this has been the most fulfilling thing I have ever done!) and also excitedly preparing to become in 2016 one of the twelve national spokespeople for one of the largest CRC patient advocacy groups via their annual Colondar publication and related advocacy events. This June 4th, by chance, I am actually celebrating my Cancerversary with my fellow Colondar sisters and brothers – at an incredibly powerful cancer retreat and experience in Tennessee. A perfect setting for a celebration of LIFE! 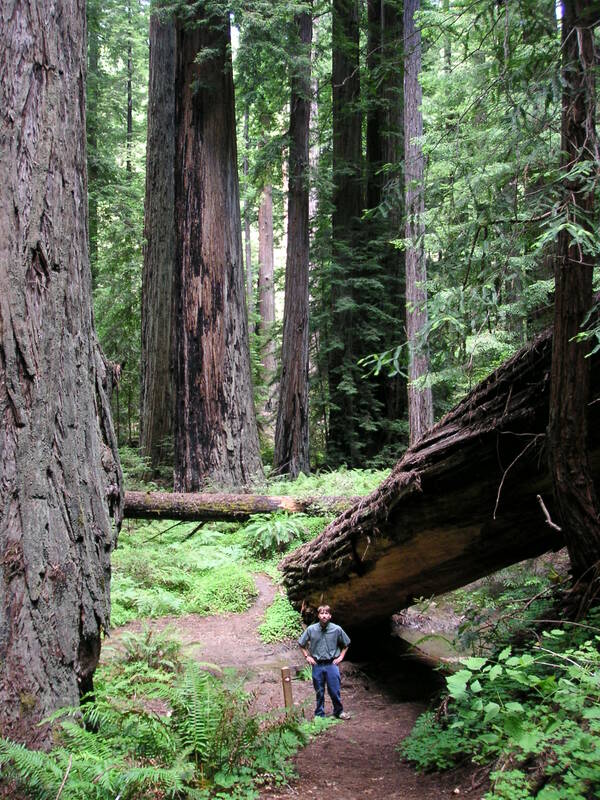 Most of those incredible experiences have happened only because of my cancer, not despite it! How can I not look back at the past 3 years with joy? How can I not look back at June 4th, 2014 and celebrate yet another year of wonderful life? I’ve witnessed my girls grow up quickly into incredible young ladies (upon diagnosis I wasn’t sure if I would live to see Amelie even enter kindergarten – this year I was in her 1st grade class doing science experiments and explaining how cancer drugs work! – Eleni was a baby at diagnosis, she has now transitioned from being a toddler into a wonderful little girl!). At the very base level, if I had instead lived as recently as the early 20th century – I would have probably died 3 years ago at age 40, so of course I now celebrate life! So overall, even though I am now officially “currently incurable” (and don’t get me wrong, I wish I never got cancer) – I still chose to celebrate June 4th. Not with sadness. But with Life. Life in all its glory that has, and will continue to, go on! To repeat how I ended previous years’ pre-blog June 4th celebration emails: Some people look at their diagnosis anniversary with sadness, I prefer to make it a Holiday celebrating Life. We’re hoping it is an annual Holiday which will continue on for many more years! Pasted below are each year’s June 4th celebration photo in chronological order. Aside from maybe the first ha – as you can see, a pretty good celebration of Life each and every year! Continuing our newest family Holiday started last year, I wanted to send out an update email as we celebrate my 2-year remission anniversary on June 4th! Like last year, it coincides almost perfectly with the National Cancer Survivor’s Day held of June 1! http://www.ncsd.org/ ). I only need three more remission anniversaries and then at the 5-year mark I’ll be “officially” considered cured! Woo-hoo! In June 2012 I wasn’t even sure if I would live another year and by the grace of God, I awake grateful each day that I feel the healthiest I have ever felt my entire life – now a full 2 years later! This update is a bit long but I haven’t really updated many of you for a year & it has been a busy year – culminating in yet another Happy June 4th! If you want to skip the details, feel free to skip to the end for the obligatory daughter celebration picture ha! As some of you know, the past year since the last June 4th celebration has had its ups & downs, joys & worries, with the stresses of near constant testing & the detection last August of some enlarged lymph nodes suggesting “possible” cancer recurrence (or possible false alarm). The news was completely unexpected since I felt so good – indeed, upon getting that phone call, I put on my running shoes and literally proceeded to run my first ever half-marathon that very same day! Upon that news, I immediately pushed my healthy eating & heavy exercise I had already started after chemo into extreme overdrive – going full low-glycemic vegan under the guidance of an expert oncology nutritionist at UCSD, running 6 miles every other day & working with multiple naturopathic doctors in SD & LA aggressively researching & taking numerous supplements that have shown potential benefit in published animal or human scientific studies – indeed I have approached this aggressively as the biggest & most important “cancer research project” of my entire scientific career! All of this has been a huge amount of work & effort (that I could have never done without Veronica’s help & support!) but I want to be able to say I have done everything I could think of to stay healthy & alive for my girls, there is no other goal more worth fighting for! Although my oncologist (and I) still do not know if the enlarged nodes are cancer or simply oddly-behaving inflammation (no biopsy is possible), the most important thing is I feel great and “whatever they are” over the past 10 months, those lymph nodes have neither grown nor spread and some have actually shrank! Woo-hoo! After admittedly feeling panic last August, I am very grateful to have received that miracle! Aside from the mystery of those lymph nodes, I am honestly in the best health of my entire life! I feel incredibly positive that one way or another this story will have a very happy ending! Since last June 4th we have had a year of incredibly good Family memories & milestones: Amelie entering Kindergarten, Eleni entering preschool, Amelie & my first “Father-Daughter School Dance”, Amelie’s 6th birthday, Eleni’s 3rd Birthday at Disney Land, teaching Amelie how to ride a bike without training wheels like I remember my Dad teaching me, multiple family trips including ziplining, dune buggies, kayaking, hay rides, beach fun, etc etc etc, me being able to take part in many school class parties & fieldtrip, Father-Daughter backyard campouts, joining in Amelie’s excitement to fight the “real” Darth Vader with a light saber, Eleni & Amelie first roller coaster rides, extremely fun Halloween/Thanksgiving/Christmas/New Year’s/Easter and even more additional Holiday & weekend fun with many family & close friends than I can even begin to fully list! Regardless of background cancer stress etc, we had the blessing of having an incredibly fun family year! Being able to have & be a part of those fun childhood memories & milestones is something that will never be taken granted for again! It is often written that cancer can drive a family apart or draw them abnormally close, and we have definitely been in the later group! Cancer has impacted our family in so many ways but I can honestly say this does include in many positive ways – we do not take our lives together for granted, our closeness & support for one another is stronger than ever and I am so thankful to have experienced that blessing! Thank you again for all of your support, help & prayers over the past 2 years, I couldn’t have done it without the incredible support from you, my Faith & Church and as already mentioned my entire family! Pasted below are us celebrating our second annual June 4th celebration. I also pasted it alongside previous photos from 2012 & 2013 (I have to admit we weren’t really in a celebration mode on June 4th 2012 ha) so you can see how fast the girls are growing up! 🙂 To repeat how I ended last year’s June 4th celebration email: Some people look at their diagnosis anniversary with sadness, I prefer to make it a Family Holiday celebrating life. We’re hoping it is an annual Holiday which will continue on for many more years! Just a quick update since many of you have been asking this spring how I am doing. On June 4 my prayers have been answered & I celebrated the 1-year anniversary in my cancer remission! (Ironically almost perfectly timed for the National Cancer Survivor’s Day held of June 2! http://www.ncsd.org/ ). I only need four more of these anniversaries and then at the 5-year mark I’ll be “officially” cured! Woo-hoo! Overall I am feeling great! I am eating better & exercising more than I have since high school. I’m also making sure to get a lot of sleep (keep that immune system happy!) and spending as much quality time with the kids as I possibly can to make the most of life. Cancer really does irreversibly change your life perspectives… Being a Cancer Survivor is a bit of a full-time job between very frequent monitoring tests (a bit nerve-wracking since it feels a bit like playing Russian roulette once a month) + trying to increase my survival odds in any way possible I can think of (careful diet, daily exercise, many herbal/nutritional supplements, acupuncture, etc). Thanks again for all of your support, help & prayers over the past 12 months, I couldn’t have done it without both your and my family’s incredible support! In some ways I can’t believe an entire year has gone by since my complete surprise diagnosis last June 4…..… while on the other hand, I find it hard to remember clearly what life was like pre-diagnosis (doesn’t help that I have partial amnesia from chemo-brain last year! ha). The entire family is doing great! Amelie & Eleni are growing up fast – pasted below are us celebrating the “newest annual Family Holiday” (Amelie picked out my crown). Some people look at their diagnosis anniversary with sadness, I prefer to make it a Family Holiday celebrating life. We’re hoping it is an annual Holiday which will continue on for many more years! Happy June 4th!!! You and I share Cancerversaries. 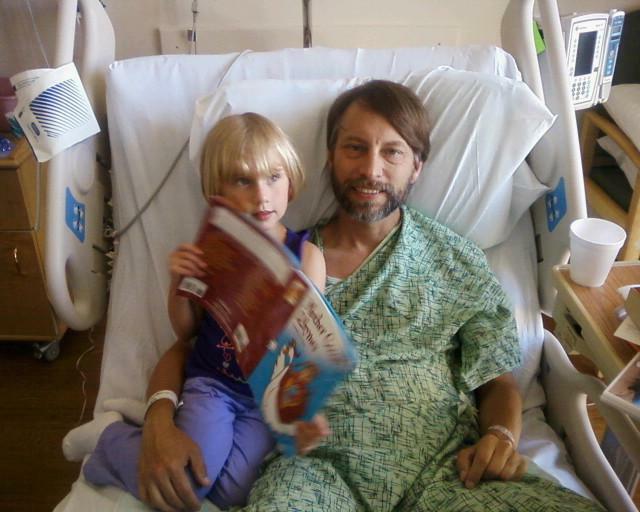 A year ago today I was diagnosed with stage IV metastatic colon cancer. I just found your blog this week and you helped me decide how to acknowledge this anniversary. I had been struggling with what to do and how I even feel about this day. I love your positive ‘celebrate life’ outlook in dealing with this crazy disease. May we both celebrate many more Cancerversaries!! Live the day! 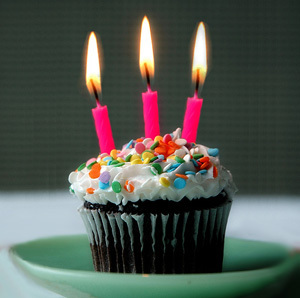 I am glad you found my blog & that it helped you decide how to approach your cancerversary! This year (2016; v4.0) I am celebrating by running a 10k at the crack of dawn. Take that cancer! To LIFE – for both of us – for many more years! Great article! Hopefully we do find a cure in our lifetime that will stop this,awful disease. I plan to live fully as many days as I can. I celebrated this year with a huge family gathering to celebrate my cancerversary and my sister in law’s 60th birthday. It was a beautiful day on the lake with lots to celebrate. I am only 7 weeks out from hopefully the last of the surgeries, so no marathons for me. I am back to walking a couple of miles most days. Little victories, but I will take them. That sounds wonderful Nancy, enjoy each & every little victory – they add up to something big! To LIFE!! !